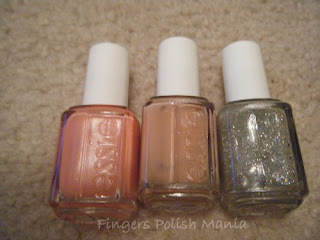 fingers polish mania: Giveaway is Closed! I have reached 54 wonderful followers! Thank you so much for showing me the love! In return, I promised an awesome blow out of a giveaway. The first one at 50 then 200 then 300. If during the entry period I reach 200, then that prize will be added. If I hit 300 during the entry period, that prize will be added! This is open internationally to all my lovely followers! 4) Not to fear, if you don't have a blog-then tweet, facebook, do something and link it to me for your extra entry. Total of 2 entries per person. The deadline is 8/24/11- 12 midnight EST. Good luck to you! At that time, I will have mastered spreadsheets and random number generators to pick the winner! Great Giveaway... and your entry form looks SOOOO WONDERFUL!!! I am glad you got it all figured out. I hope I was helpful. Ooh, swanky form. I like it. Awesome giveaway! Yay for you for reaching 50 followers! Glad you guys are excited! Drew that form myself! Hahahaha! @Lailaa R-thanks so much for the compliment! I really appreciate it!